Amanda is a Jesus-loving, adventure-seeking humanitarian who has recently relocated from the U.S. to Iraq where she works with Preemptive Love Coalition. A southern hippie who hails from Texas, Amanda loves good coffee, local food, extreme sports, creating, dancing, and Willie Nelson. She has lived all over (Texas, Colorado, North Carolina, Kenya, Ethiopia and Zambia) and has worked in every type of job under the sun, including stints in church planting, orphan care, disaster and humanitarian relief, medical outreach and photojournalism / storytelling. IF YOU HAVE EVER FELT LIKE YOU COULDN’T SEE YOUR OWN GIFTING, THIS IS THE EPISODE FOR YOU. My conversation with Amanda took place a week prior to her leaving for Iraq where she would be working with a women’s empowerment program for refugees. 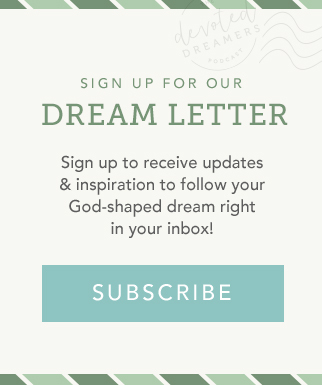 She shares about the circuitous path God allowed her to take to realize this dream of living abroad so she could love and serve the people of Iraq. She also helps educate us about the refugees who are fleeing to Iraq and, currently, the situation in nearby Aleppo, Syria. Maybe you’re wrestling with not being able to see your own natural gifting. Amanda was right there, too. 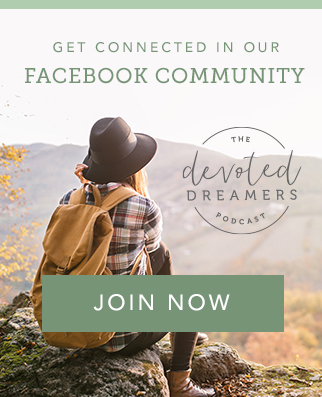 She shares what a difference it made to have other women praying for her, talking about the natural gifts and abilities they see in her, and sharing how they see God using those gifts in her life and the lives of others. Give to Preemptive Love Coalition for immediate needs in Aleppo, Syria. Or, make a purchase from the PLC 2016 Gift Catalog to fund empowerment programs in Iraq. These programs, like the one in which Amanda is serving, help refugees and displaced people rebuild their lives.